had the pleasure of conducted one of its workshops with the new moms at Raphael Life House in Elizabeth, NJ. Our self-esteem workshop focuses on building self-esteem and confidence and helping young women see their potential. 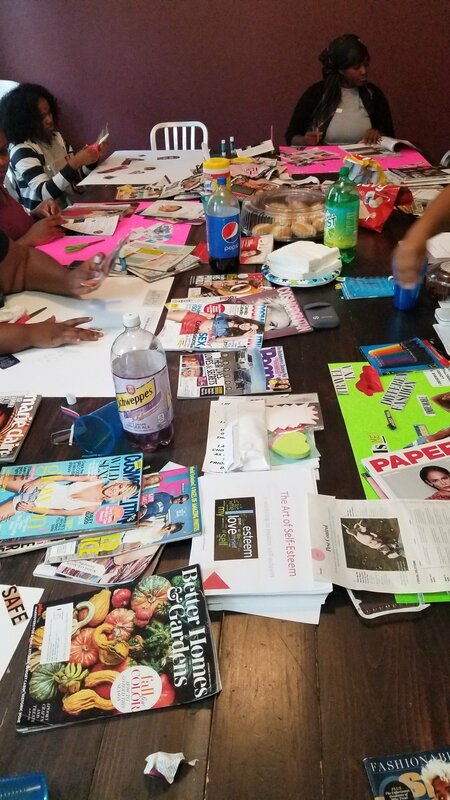 We worked with the ladies on building a positive self image and creating a personal vision that they can reflect on and strive towards every day. Raphael Life House helps young homeless mothers and pregnant women. Wells Fargo Bank held a Sip N Paint fundraising event in honor of We R Listening. Everyone enjoyed wine, hors d’oeurves and painting while raising money to support We R Listening’s youth programs and initiatives with working with at risk women’s homeless shelters and agencies. We R Listening participated in the 2018 Wells Fargo Community Support Campaign’s opening bell. Thank you to all that donated and Wells Fargo for having us. We R Listening donated 13 toiletry baskets to Raphael's Life House in Elizabeth, New Jersey. Raphael's Life House provides transitional housing for young homeless women who are pregnant or who have recently given birth. Thank you so much to our donors who supported us by donating to this cause! 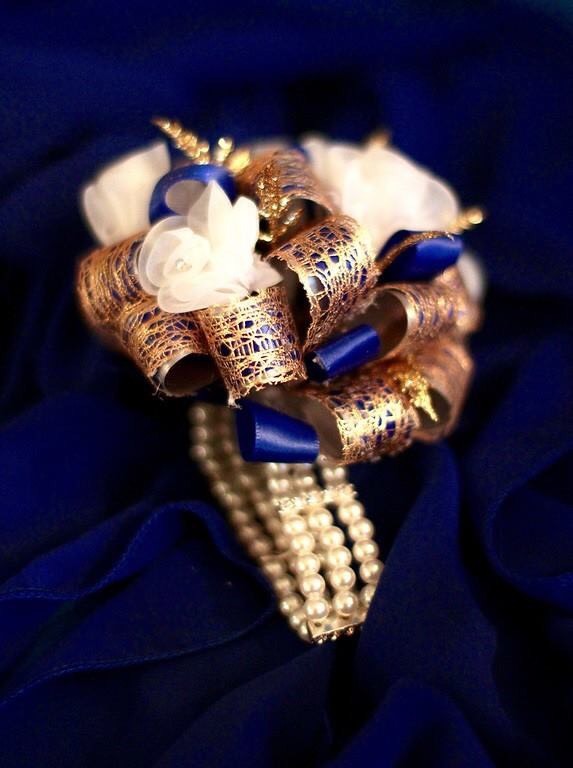 We R Listening had the absolute honor of sponsoring Naeja Imani Dillard's prom on June 9, 2017. 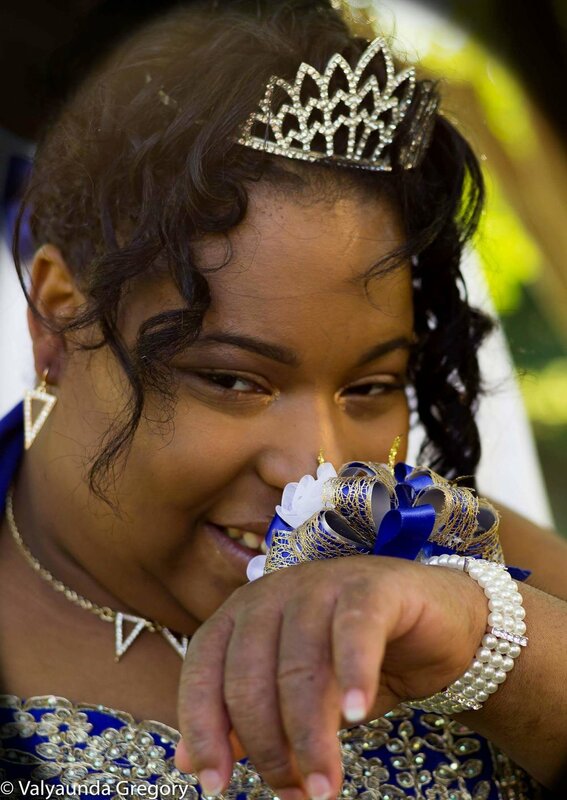 Naeja is a special needs young lady who attended Princess Anne High School in Virginia. 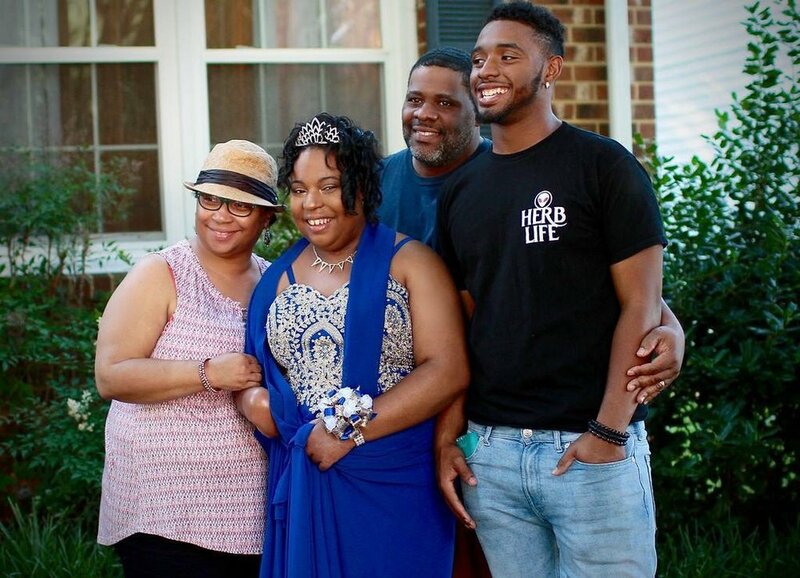 Her ultimate dream was to attend her high school prom and her dream came true on June 9th. Seeing the bright smile and happiness on Naeja's face made it all worthwhile! She looked stunning and had a blast on her special day and will have memories to last a lifetime! We would like to take this opportunity to send a special thank you to everyone who helped us make this Queen's dream come true! Thank you to Divine Crystals Designs who donated her labor and designed Naeja's fabulous sneakers, Anthony Brewer of Virginia Beach Hall Nissan who supplied the bow tie and handkerchief for Deionte Banks, Naeja's prom date, Kennedy Williams who donated her services and did Naeja's make up, Jackie King who donated Naeja's purse, Melissa Hardy who donated Naeja's tiara, Lakeila Whitaker of Traci Lynn Jewelry who donated Naeja's jewelry, Beck G Radio Personality of "The Morning After Show", Latisha Byden and friends, Antoinette Harris, Angela Dickerson, Sherill Marshall of the Marshall Law Group LLC, and Tabatha Thompson for their monetary donations, photographers Valyaunda Garnes-Gregory and Kathy Fiske-Baksa and Jodie Frame Lee of Katherine Lane Photography for donating their photography services. We are extremely thankful and grateful that we have the love and support of our community that support our initiatives and more importantly our youth! We R Listening conducted its latest workshop "Monitoring Your Social Media Reputation" at Poughkeepsie H.S. With social media growing tremendously, online safety and reputation is becoming more and more important everyday. We R Listening discussed these important factors with Poughkeepsie high school students. We R Listening teamed up with at the young ladies and men of YLYM in Virginia to write christmas cards to soldiers stationed in the Middle East who are not home to spend the holidays with their family. YLYM is a youth leadership program for middle and high school students who carry at least a 2.5 GPA or better, and determined to make a difference in their lives, as well as others, in a positive way. 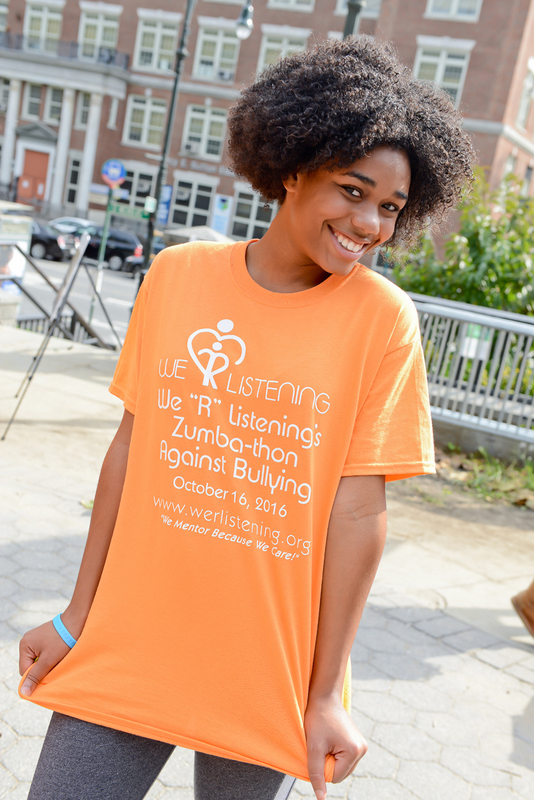 We R Listening Inc. held its first annual ZUMBA-athon to raise awareness for bullying prevention month in St. Nicholas Park in Harlem, NY! We "R" Listening teamed up with Blink Fitness (Harlem) to provide a fun-filled Zumba workout, family-friendly activities, bullying information tables, and guest speakers and other fun treats. We R Listening welcomed students, parents and faculty of Capital Preparatory Harlem Charter School, co-founded by Sean "Diddy" Combs. Capital Prep opened its doors for the 2016-2017 school year. Founder & President, Venae Fowler of We "R" Listening Inc., spoke at the WYP Fashion 4 Light NYC Designer and Showcase during NYC fashion week about her long-standing modeling career and why she started We "R" Listening Inc. She also hosted the red carpet at this fabulous event. To hear her speech and see her strut the runway, click here. We "R" Listening, Inc. had the honor of donating nine baskets of toiletries to the staff at Life Haven Shelter in CT, which is a temporary emergency shelter for women and their children. When we arrived and the front door opened, the first thing we were hit with was the smell of delicious bacon. We came on a great day! :-) What a wonderful feeling to know that we are helping young ladies and their babies and we are both delighted and humbled that we were able to do so. We "R" Listening, Inc. partnered with the ladies of the #OmicronUpsilonOmega chapter of aka who sponsors the ASCEND (Achievement, Self-Awareness, Communication, Engagement, Networking and Development) program. The ASCEND program provides educational enrichment to high school students with an emphasis on Science, Math, and Related Technologies. We "R" Listening presented a speech on Public Speaking and Speech Writing at Norwalk High School to the ASCEND students. We "R" Listening, Inc. sponsored its 1st Annual School Supply Drive benefiting Seatack Elementary School in Virginia Beach, Va. We "R" Listening distributed school bags full of school supplies inside to youth at Seatack Elementary School. The smiles on their faces were priceless. Thank you Seatack Elementary School! We "R" Listening, Inc. attended an event called "Behind The Smile" with keynote speaker Trent Shelton. He is a former NFL player turned motivational speaker who founded Rehab Time Organization. As always, his event was motivational and full of eye-opening lessons and learning experiences. We "R" Listening attended reality TV star Yandy Smith's"Girls Love Event" which was held in New York City. The event focused on women empowerment and featured a panel of talented and established women, (including radio personality for 107.5 WBLS Deja Vu), who shared their personal journey to achieve their success and fulfill their life goals. We left this event inspired and motivated to continue to do the work we do for young girls and networked with other women giving back to the community. We "R" Listening presented an overview of its programs and events to students at Poughkeepsie H.S. today. What a great time we had! We met with a fantastic group of young ladies who are enthusiastic and optimistic. We had a memorable time mixing and mingling with them and look forward to working with them in the future. We "R" Listening teamed up with "Step Up" in New York City at Columbia University for an interactive mentoring segment at the "Mentor at the College Connections Conference". We "R" Listening's mentor, Cassandra, made an impact on a Step Up teen's future on this one-day mentoring opportunity. The mentoring segment was an insightful and an inspirational one. Miss USA 2014 spoke and her message was very touching. A great experience to say the least. We "R" Listening attended the Ladies Power Circle Networking Mixer in NYC. Successful women in business and entrepreneurs, came together to network, educate, empower, and be supportive to one another. We "R" Listening Inc met some fantastic women at this great networking event. The We"R"Listening team went out to support Pretty Girl's Sweat Teen & Community walk (promoting teen health and fitness initiatives) through the Bronx Botanical Gardens. We joined founder, Aeshia Branch and Special Guest Singer Elle Varner who also joined the walk.